A one page Event Invitation of a Real Estate company. It was send to all the interested clients of Park & Villas latest project. I created it in InDesign and designed it to go well with the basic green colors of the company logo and identity. 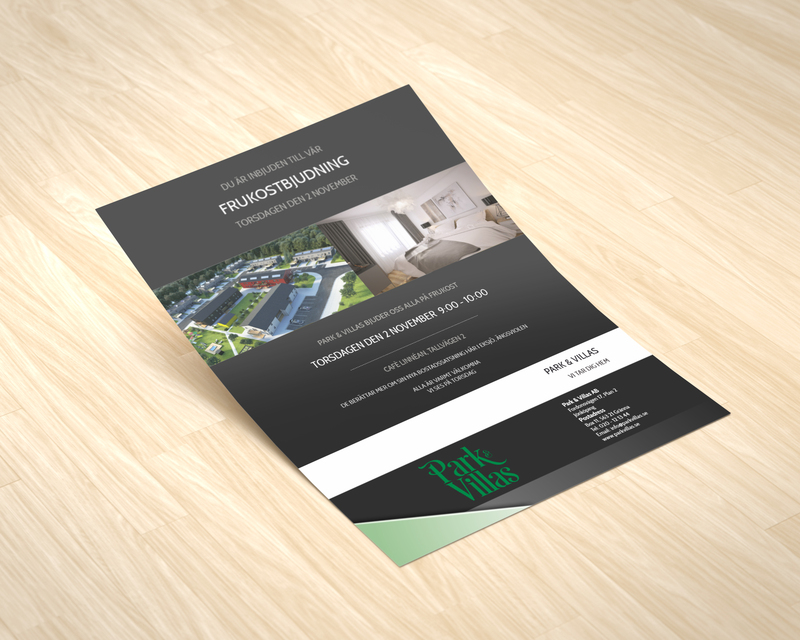 The invitation I developed to catch the interest of possible buyers with carefully chosen images and text.